Concerns over compliance, sterilization, infection control, and security make storage in the healthcare and research industries challenging and unique. Business Systems & Consultants partners with hospitals, surgical centers, laboratories and pharmacies to match their medical storage and laboratory needs with space-saving storage solutions. We understand this market and the rigorous standards required to be successful in these sensitive operations. We offer a full range of material management solutions and furniture for the healthcare, laboratory, pharmaceutical and research environments. Included in our solution portfolio are the Rotomat® platforms. The ClimateStore® technology allows the storage solutions to be operated as cold or heated storage systems. This has numerous applications in life sciences, aviation, pharmaceutical, and engine manufacturing environments. With Business Systems and Consultants, get the best of all worlds; space savings, climate control, simple operation, intelligent control systems, and lifetime service from a worldwide service network. What is a Modular Clean Room? Clean rooms (or cleanrooms) typically describe a setup where low contamination is a required part of an operation, or that is built in conjunction with sterile settings. Clean room designs are ideal in various settings, including research spaces, healthcare facilities, and manufacturing plants. Our clean room construction is efficient, versatile and affordable, with minimal disruption and contamination. Clean rooms are not only controlled areas, but they are also made with materials that limit particulates and other contaminants. Modular cleanroom walls and ceilings are typically made of materials like stainless steel because they are particulate free and sterile. Clean rooms also incorporate the most up-to-date types of HVAC systems to meet clean air compliance. Clean rooms and controlled environments are technically similar types of setups but have a few differences. In controlled environments, various elements are regulated, and they must be wholly separated from surrounding areas, but they actually don’t handle contamination issues directly. Clean rooms, on the other hand, have the potential to meet even stricter standards than most types of controlled environments, meaning that you have all the elements of a controlled environment while meeting requirements that are more stringent regarding contamination. Why Choose a Modular Clean Room? There are many benefits to having laboratory spaces created out of modular clean rooms. For one thing, they are efficient to build and even transport if you need to relocate and are far less expensive to set up and re-build on the other end. They also have built-in raceways that can be used not only for electrical wiring but various sensitive materials. Eliminating the need to build these later means that you’re going to save the air from being contaminated during a rebuild or renovation. Insulated wall systems can also be built-in on spec and help to control not only the air temperature but also the mechanical systems and other substances that might need special temperatures. This regulation means that, for instance, there’s no risk that the room could heat to a point where flammable materials would be compromised. 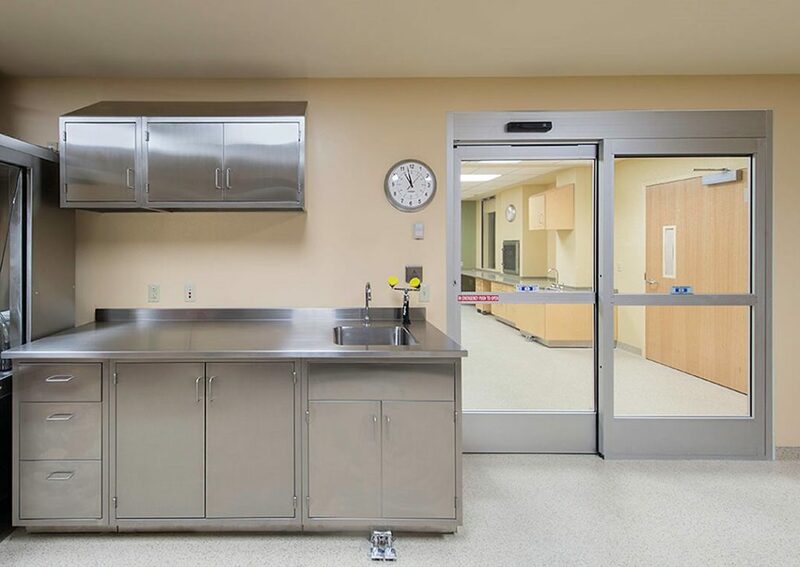 Another benefit of modular clean rooms is that they can be easily linked to other controlled environments such as surgical scrub rooms and air locks that also need to be kept germ-free. Clean rooms come in different classes, and we’ll help you figure out exactly what you need based on your building and industry standards. Clean rooms control contamination in various ways. As you conduct your research, you’ll have to consider the contamination sources, the size of the particles that need to be removed, and the air circulation requirements. High-quality HEPA filters help keep the air clean along with other filtration techniques. They help maintain specific types of airflow to minimize the movement of particles through the area. Well-designed clean rooms can also minimize airflow disruptions caused by invisible events such as electrostatic discharge. Hänel: Hänel is an industry leader when it comes to storage and organizational solutions for a wide variety of industries, and they have systems that are explicitly designed with clean rooms in mind. For instance, their Rotomat platforms can be combined with their CleanStore and ClimateStore technologies to produce material handling and organizing solutions that can be temperature controlled within the clean room, and that can protect the contents from many pollutants. Both the Rotomat and Lean-Lift systems are easy to operate and make space saving and organization a breeze, and this translates to reduced retrieval time, increased efficiency, and cost savings. 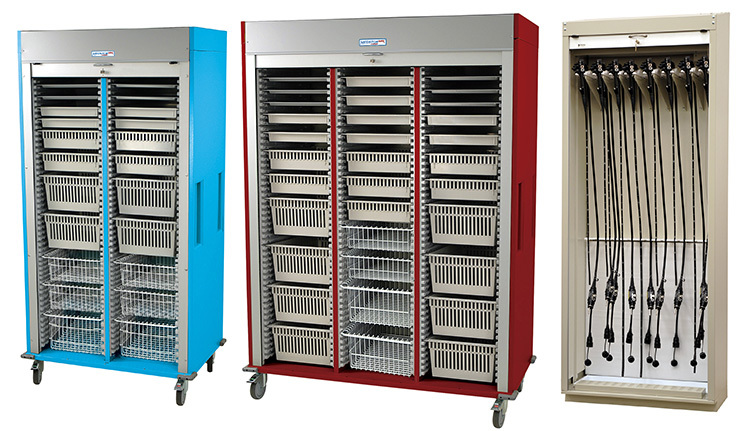 High-Density Storage Solutions: BSC has a great selection of storage and shelving solutions, including filing units, shelves, computer and laptop storage, and lockers. Beyond that, however, they also have desks, workstations, and furniture that can help you organize your clean room and simplify operations. Panel Built In-Plant Building: Panel Built offers solutions to large warehouse buildings that do not have the infrastructure for necessary office space. These modular units can be shipped and set up quickly, and two-story options can help you take advantage of unused ceiling space. To suit environments that are potentially damp or full of chemicals, Panel Built uses materials that are resistant to mold or mildew build-up such as stucco embossed steel, stucco embossed fiberglass reinforced plastic, or vinyl covered gypsum board. The use of these specific building materials helps maintain pure air quality for office workers no matter what is happening in the plant or warehouse. Here at BSC, we recognize how important your business operations are, and that includes knowing how crucial cleanroom components are, as well as understanding how important it is for you to reduce downtime when changes are happening. For instance, we stock all the parts, accessories, and storage solutions you might need to equip your clean room, and that means you’ll be up and running as quickly as possible. We can also help you with designing and building your clean room storage solution, and our expertise and experience will ensure functionality of design and a high level of efficiency in the lab. Furthermore, we’re familiar with the various safety and compliance requirements you must meet in different industries and will be with you for every step along the way as you design and build the perfect clean room for your needs. BSC has years of experience creating and designing customized material handling and storage solutions for all sorts of organizations, and that includes plenty of experience with the building of clean rooms in many industries. Whether you’re looking for work surfaces, furniture, or secure and temperature-controlled storage systems, we’re here to help. Contact BSC today to find out how we can help you build the perfect clean room for your needs, or for a quote or free assessment.